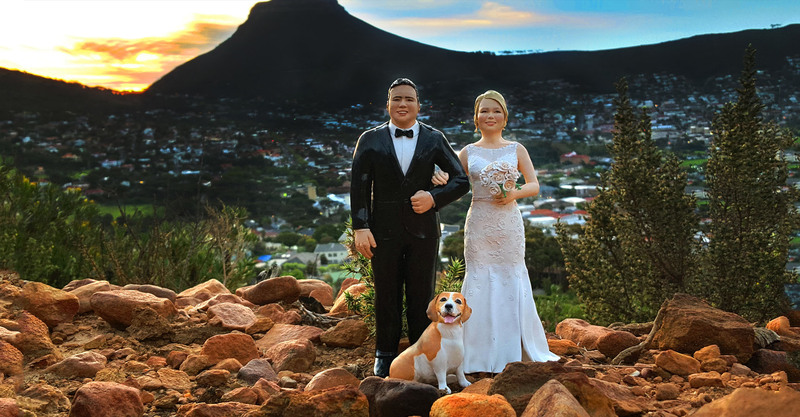 Wedding Cake Toppers Cape Town. 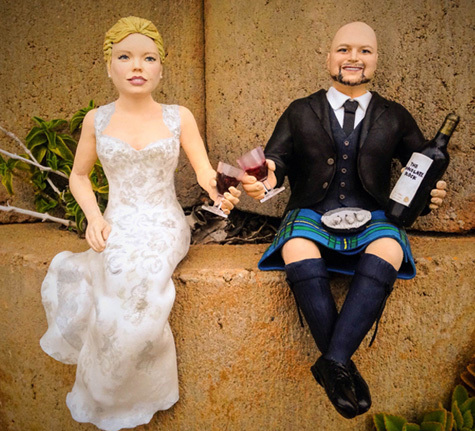 Realistic, hand made, one of a kind cake toppers for all your special occasions! 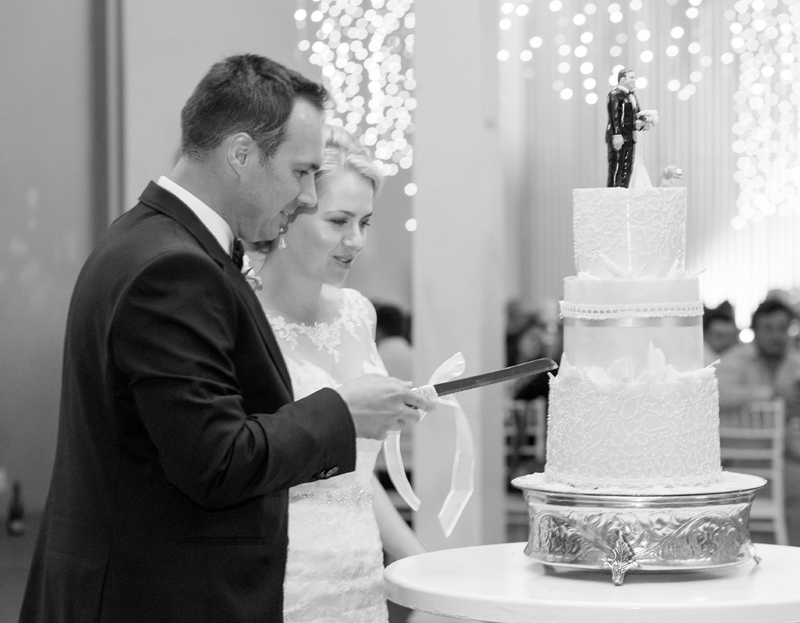 Unique Cake Toppers made to last forever. 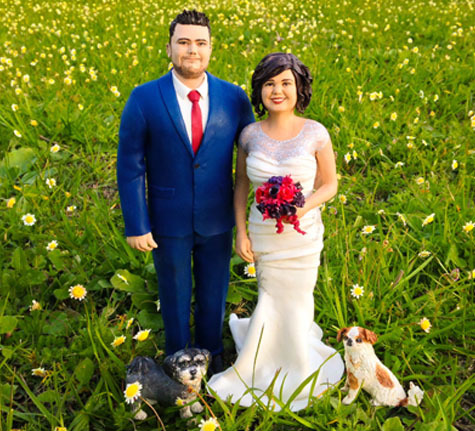 I specialise in making realistic polymer clay figurines for all special occasions. 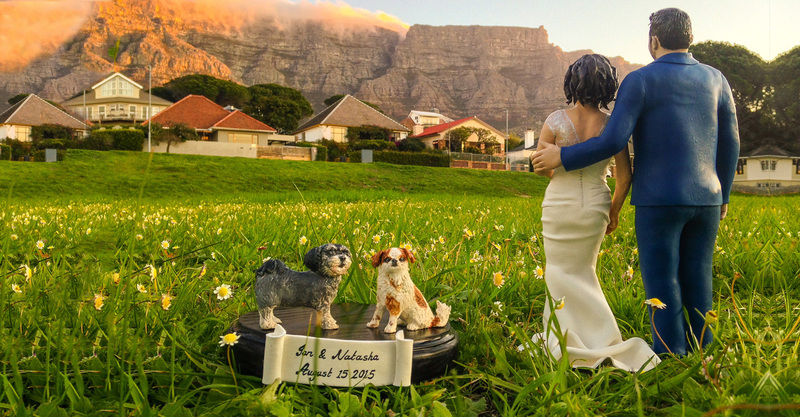 Each figurine is completely hand sculpted and modeled from your photos to look just like you or your loved one. 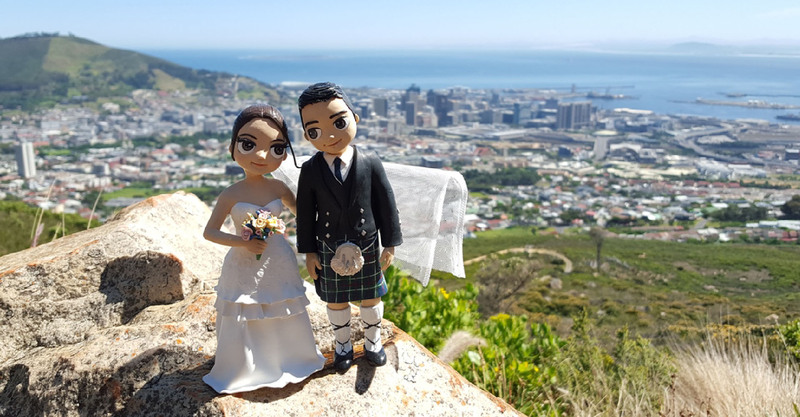 Your birthday or wedding cake topper can be made to reflect your humour, hobbies, interests or career, from comical to sophisticated or traditional to outrageous! 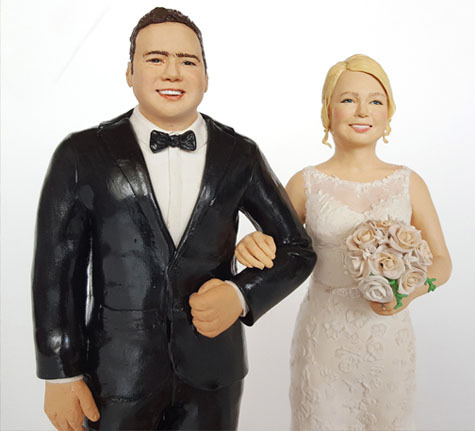 Unlike fondant figurines these polymer cake toppers are works of art that can be kept forever. 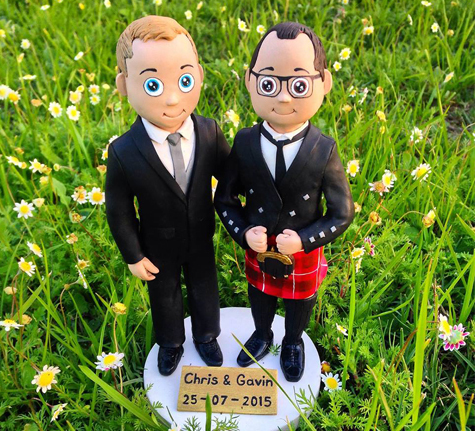 They are all made on a base with a name and date plaque and after the party is over can be placed on display to remind you of your special day. 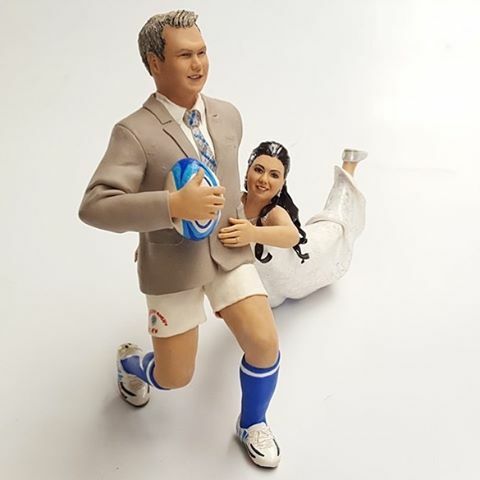 These figurines are not only limited to wedding and birthday cake toppers but can be made for christenings, anniversary gifts, retirement gifts, parents, grandparents or even corporate gifts, these personalised keepsakes can be made for whatever or whomever your heart desires. 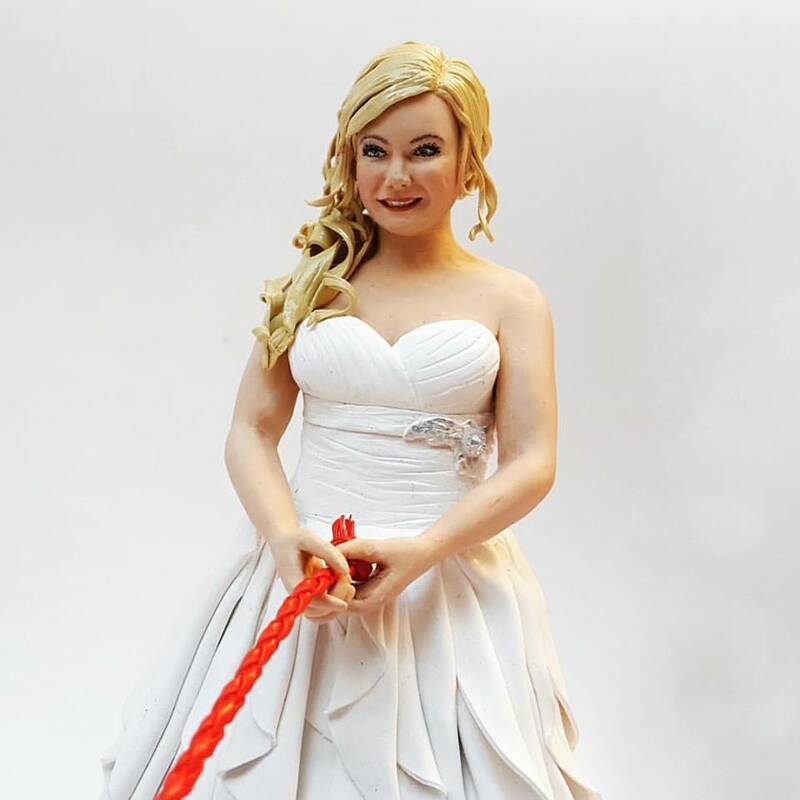 If you are interested in your own custom cake topper, please send me an inquiry with as much detail as possible and together we can create a truly unique and memorable piece of art. 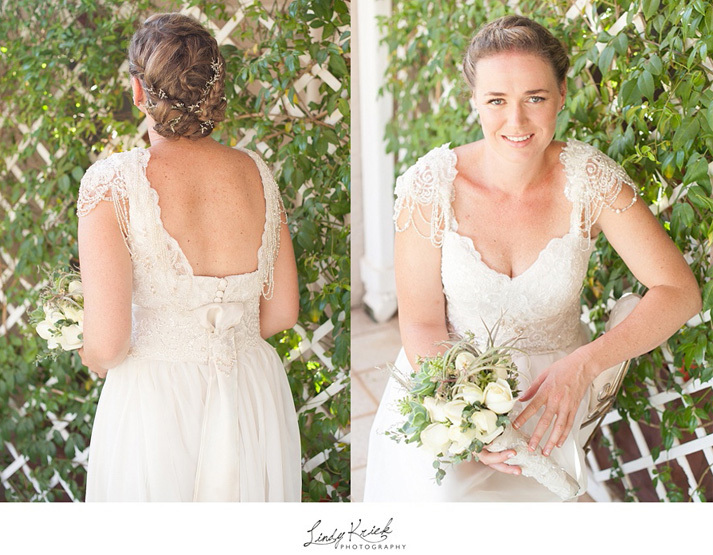 Otherwise please enjoy browsing through and sharing my previous work. 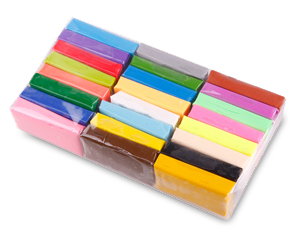 Each topper is made from polymer clay which is 100% non-toxic and when baked turns into a hard plastic material. 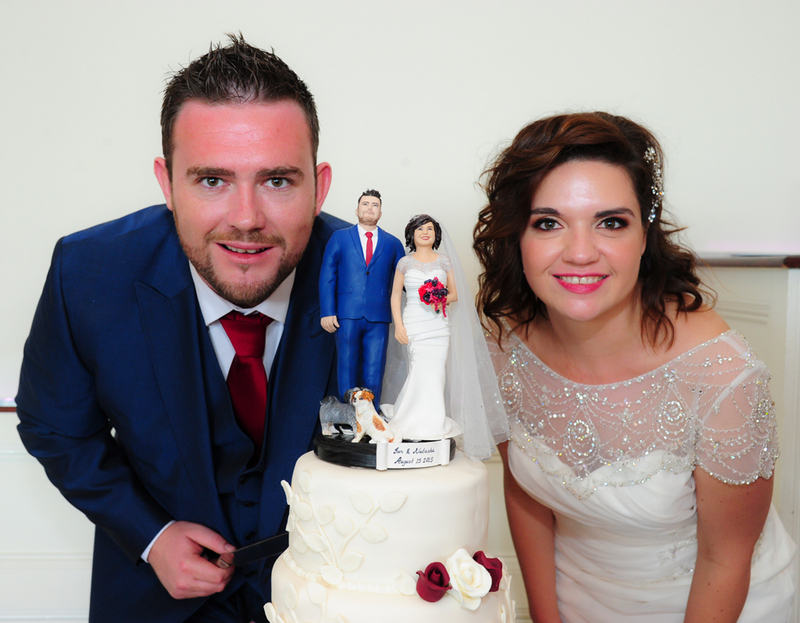 When the celebration is over you can display your topper on the mantelpiece. 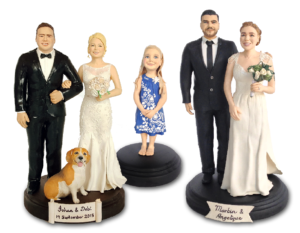 The everlasting quality of this clay makes these toppers a personal keepsake that will remind you of your special day for years to come. 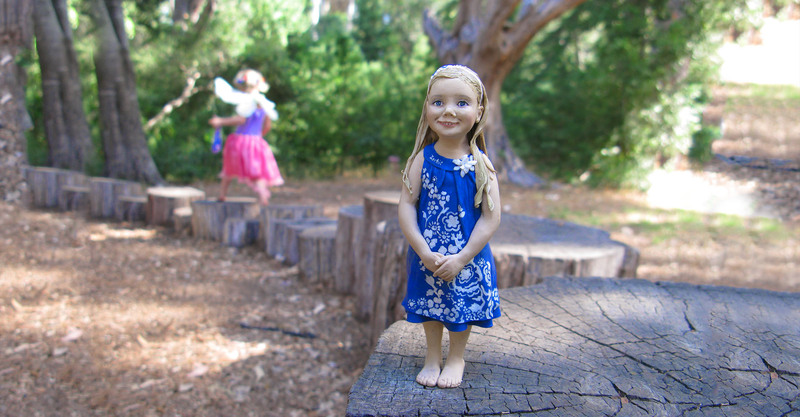 Figurines are roughly all the same size but can vary by a centimetre or two. 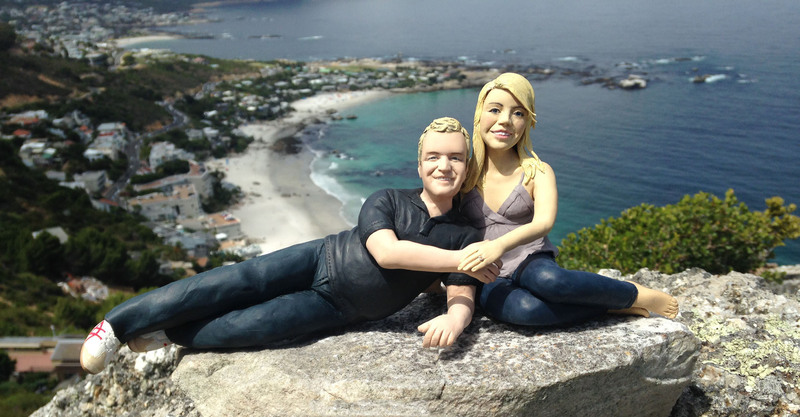 I can make bigger and smaller toppers but in order to make the faces as close to realistic I am unable to make the heads any smaller than they currently are (2 – 3 cm) . Thanks to the very durable properties of polymer clay my toppers can be easily posted worldwide. 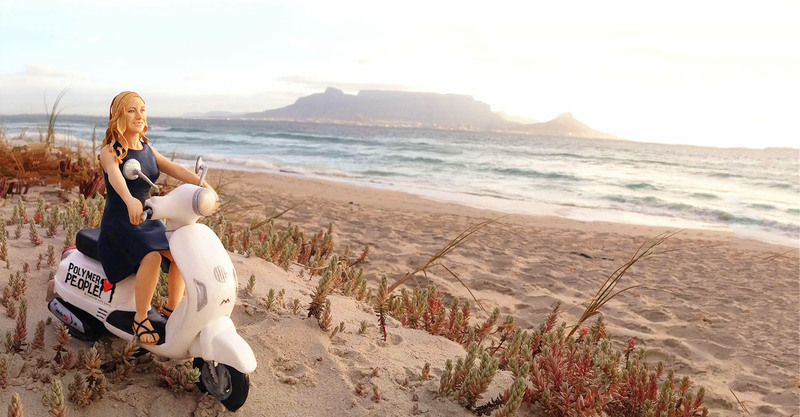 International postage will require a unique quote based on your address, I am happy to include this quote with your order enquiry just remember to supply me with your address. If you can imagine it I can make it! 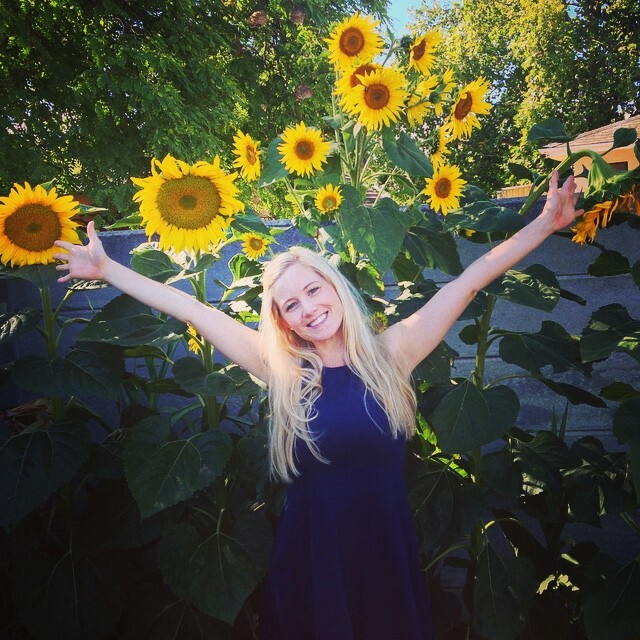 Check out some of my previous work for inspiration! Send the following details to check my availability: date required, delivery address, number of figurines as well as any additional props. 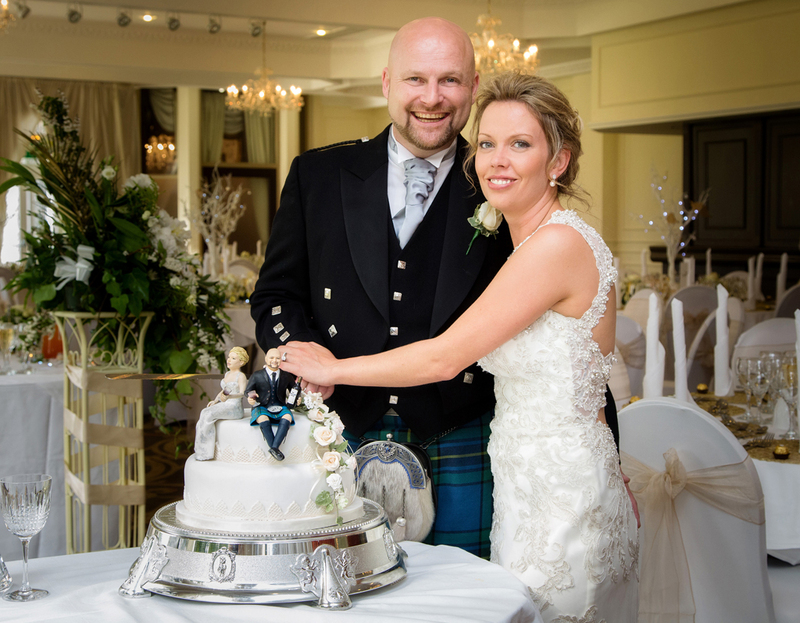 I will then send you a quote and will require a 50% deposit to confirm your order and slot in the diary. 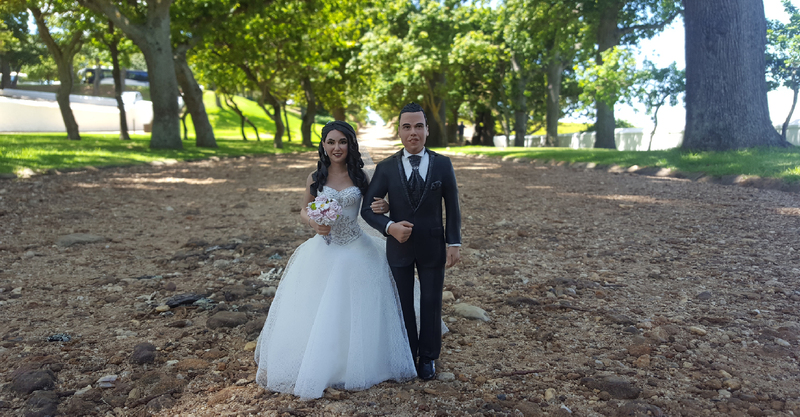 Please remember most wedding toppers are ordered months in advance so try place your order early to avoid disappointment. 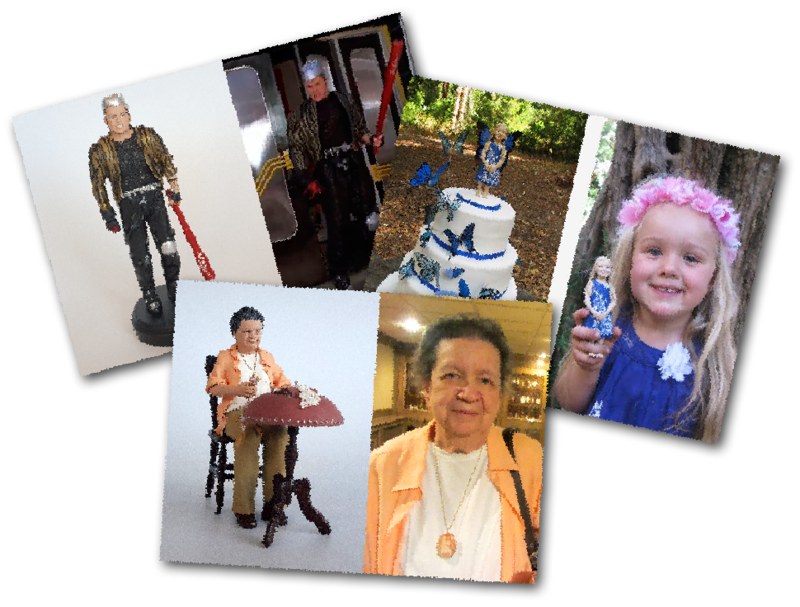 Send date required, address, number of figurines and props to receive a quote. 50% deposit required to confirm booking. 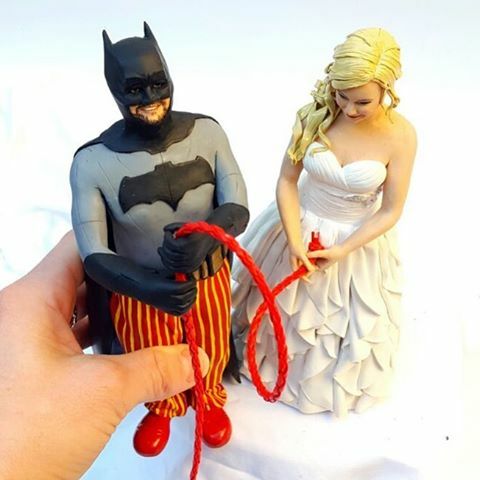 Cake Toppers can also be themed. 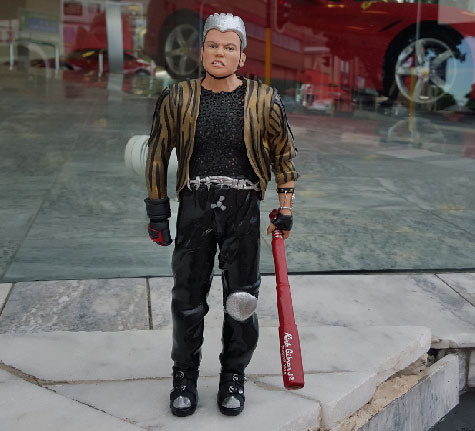 Send me any additional details so that we can develop a figurine that is unique to you and your interests. I will require certain photos to make your figurine and props, please refer to the photo guide page for more details. 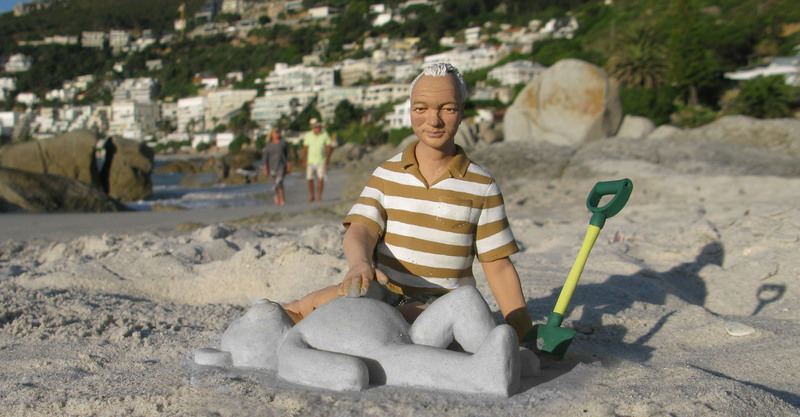 Figurines usually take a few days to model, I may require additional photos once I start the process. 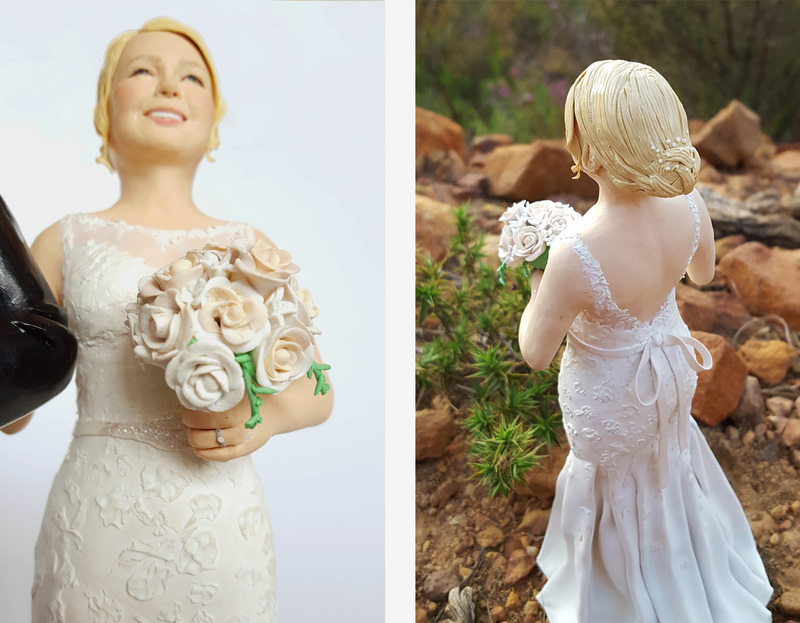 As soon as your figurine is completed I will send you photos to do final checks. 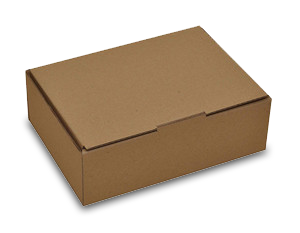 Once you have paid the outstanding balance your toppers will be safely packaged and securely delivered to you. 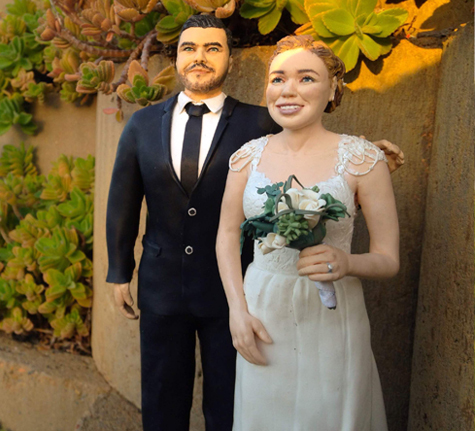 Why choose a Polymer clay, Wedding Cake Topper for your special day? 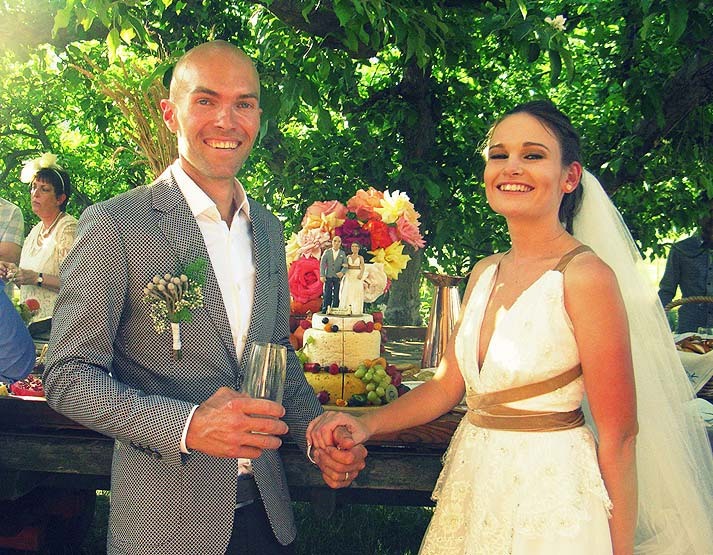 Your wedding day is something you have dreamt about your whole life and once the date is set, many hours are put into planning your special day! 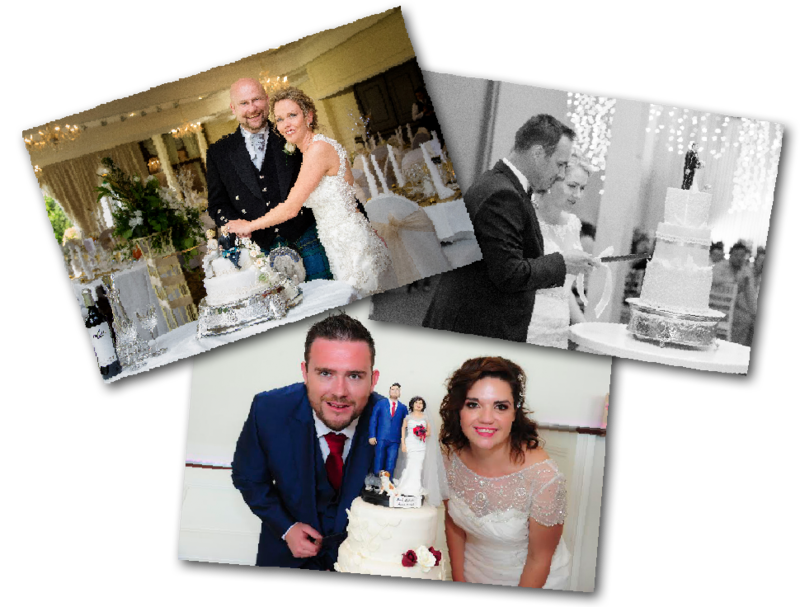 The saddest part is once the day is over and the beautiful dress is packed away and the last slices of cake are eaten all you have left are the amazing memories and of course the professional photos which will fill your walls for years to come! 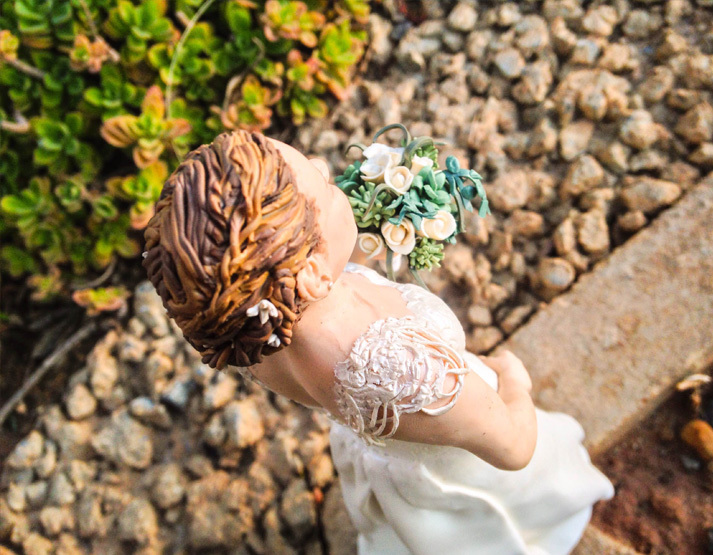 What these custom made wedding cake toppers offer you that nothing else can is a beautiful ornament that will last forever to remind you of that day, capturing a moment in time you never want to forget!